Ethnographic Essay on Subculture of "Toastmasters International"
This is an ethnographic essay that describes the subculture of the Toastmasters International organization in relation to the experience of their members in their learning effort and the behavior standards. The paper starts by giving introduction of the organization and the adopted subculture and how they operate in different countries around the world with a clear focus on a local club. The method of study and the description of the activities carried out at the club as well as the analysis that explains the hypothesis are covered in this paper. The field site and subculture chosen in this study is called Toastmasters International. This is a nonprofit educational organization that runs training related clubs globally with the purpose of aiding the registered members to improve their leadership, communication, and public speaking skills (Ccktmc.org, 2012). 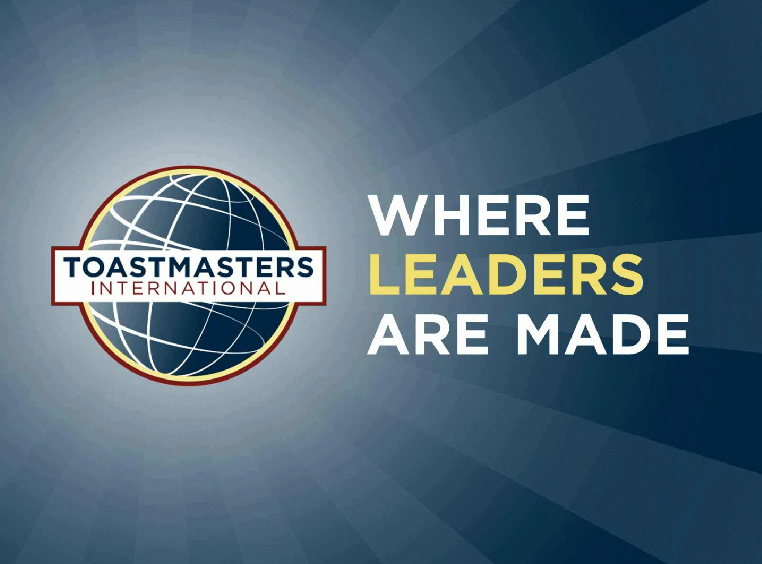 Toastmasters International has thousands of members who sponsor a program on communication and leadership, which is designed to assist people to learn the arts of listening, speaking and thinking in order to facilitate constructive conversations. The social clubs run by Toastmasters International in different parts of the world are aimed at making the members to become more competent and comfortable with their public communication skills. This is done through the concept of learning by doing where all members are encouraged to participate and give speeches before the club members (Slutsky & Aun, 1997). Toastmasters International is an extremely structured internationally acclaimed organization with well-designed operations and activities. Toastmasters International also has a non-discrimination policy that registers members irrespective of their gender, ethnicity, race, or nationality. Although, the organization was originally formed as a male-only club, membership to include women was opened in August 1973. However, certain clubs that are organized within the organization that are referred to as “closed clubs” or “in-house clubs” are permitted to restrict certain membership to individuals in the organization. Otherwise, membership is open to all people aged 18 years and above who wish to improve their leadership and communications skills. In most cases, advanced clubs are developed from the original ones and it is desired that an individual must have successfully completed a definite number of speeches before they are allowed to join these clubs (Slutsky & Aun, 1997). Based on the 2012 report, there are more than 280,000 Toastmasters International members and over 13,500 clubs operating in 116 countries (Ccktmc.org, 2012). These numbers are still expected to grow exponentially in the next decade. Membership in the United States rose by 3,6% between 2011 and 2012 and continues to grow speedily in many other countries. Toastmaster’s members usually belong to local clubs, which normally comprise between ten and fourty members. These local clubs hold meetings on a regular basis to allow members to train and practice various skills that are useful in sharpening public speaking. These skills include giving self-generated speeches, listening, speaking extemporaneously, and providing feedback and evaluation to each other (Slutsky & Aun, 1997). These feedbacks can be in form of positive corrections and suggestions that can assist the person to improve their communication skills. Based on the leadership, clubs meet monthly, bimonthly or weekly. For the sake of this analysis, I have chosen a club that meets on a weekly basis on every Tuesday night from 07:15-08:45 hours at a Catholic Church about two miles from my house. There are literally thousands of groups similar to the one I have chosen that meet regularly throughout the world that have a continuous open enrolment for anyone who wants to join. I chose this specific group essentially because it is the closest to my house and the easiest to get to. I had attended one meeting before at this same location about two years ago. Since then, I have not been able to meet with the group again, because of my tight work schedule, which involves a patrol shift where I am required to be at work until 9:00pm. Nonetheless, I will be able to attend the weekly meetings until the end of the semester with effect from 18th December 2012. The last time I attended the meeting, there were about 8-10 members who met in a large classroom inside the church. It should be noted that despite the fact that the meeting takes place at a Catholic Church, there is no effect on one’s religious background or affiliations. The club is normally asked to pay or give a donation for the use of the room. Equally, personal reasons led me to choose to do research about this particular subculture. I have for a long time wanted to explore this club and improve my public speaking skills. I am at a stage in my career where I am either going to decide to remain stagnant or make a decision to seek personal enhancement and to improve my career status and earn promotions. Currently, I work in a first line supervisory role within my police department where I am unable to earn any further promotion unless I attain a BA degree. For this reason, I have decided to finish my degree course, which I began eighteen years ago, which if I combined with the Toastmasters International club participation will assist me to improve my public speaking skills that my current job desires in order to be able to progress in my career. I have always felt deficient in this category and greatly admire listening to those who are skilled in public speaking. What I find most frustrating with my public speaking is anxiety and the feeling of nervousness when standing before people; it is different from the time when I was younger. During my school time, I was seriously involved in athletics and became the Captain or the Quarterback. The leadership roles made me speak most often to motivate and to inspire my teammates. I never felt anxious or nervous, as well as not fumbling with words at any point, but was always able to drive my point across in a motivating fashion that would inspire my teammates. Other than the motivating speeches, I was also able to demonstrate my inspiration with my actions on the field. I believe that this contributed to my success in handling the team. This organization offers a proven and enjoyable way to practice communication and leadership skills. According to the Communication and leadership program (1992), there is no instructor in Toastmasters; instead, each speech and meeting is critiqued by a member in a positive manner, while focusing on what was done right and what could be improved. This means that there is no teasing or discouragement of any kind, thus allowing the participants to grow and sharpen their public speaking skills. Members practice and improve their skills by following assignments from the “Communication and Leadership” manuals. Their skills are developed utilizing a wide variety of methods; as a meeting participant, as a speaker, as a club officer and as a leader at some of the different levels and other clubs as an evaluator. Joining Toastmasters International club will therefore help me to find the answers to my poor public speaking skills, which I never experienced when I was younger. Being a self-driven person with a type A personality, I have no doubt that after finishing the Toastmasters International training on communication skills and attaining a BA degree, I will rise through the ranks of my police department, which will in turn lead me into many public speaking activities as well as teaching and training classes within my department. My plan is to continue with the subsequent Toastmasters International club classes after this, with inspirations of becoming a very polished speaker. The meetings of the Toastmasters International clubs are very much structured and are planned months ahead of time. They have pre-planned topics, various contests, and presenters throughout the year. Each meeting location is facilitated by a chosen leader and supported by others assigned different roles during the contests and activities. After experiencing my first meeting, I have come to believe that the only way I may be able to appropriately complete this assignment will be as an observer. As much as I would like to participate, I believe that my priority right now has to be as an observer. This will give time to watch and listen to the presentations and comments given by different experts in order to familiarize myself with the environment before I can start participating actively. However, I am not totally excluding the idea of participating. I am looking forward to this experience and excited as to what the outcome may bring. I believe that after some period of time I will understand the basic concepts of a project and at the very least I will have fun exploring this subculture and the possible contacts I could develop. The primary contact person so far has been the person responsible for setting up the meetings and facilitating them. I have had only positive responses from him and enthusiasm about taking part in their meetings. The people who have been involved in this specific group varies as I am told from anywhere to six-twelve people a meeting. The people involved are extremely helpful and supporting, as I have been told. I got the same feeling from the meeting I attended several years ago. Currently, the examples that I have read so far from our reading material and the observations I made have helped me identify a few people within this group that I will actually get to know rather well and use their personal stories given in their speeches in my paper. I attended my first meeting of the Toastmasters International club, which was held last week for approximately two hours. The meetings are set to continue every Tuesday of the week in a large classroom located in the basement level of a Catholic Church, very close to my residence. The Church itself is not what one would picture as the typical Catholic Church built in the early 1900’s with large moldy looking bricks and an elaborate 100 foot bell tower that skies over the mass portion of the church. I am Christian, though I do not go to the church regularly and my knowledge of the Christian vocabulary is scarce. The Church is built according to the modern architecture and somewhat recently constructed in a wealthy neighborhood. The Church and its property are possibly the size of most elementary schools in the area and have a breath taking skyline view of Seattle. From the parking lot you can see the Space needle located in downtown Seattle with a backdrop of the snowcapped Olympic Mountains. My encouragement is that even if anything else does not go well as anticipated, at least I got a million dollar view of the magnificent church structure and neighborhood. On the Tuesday night, there were so many cars in the parking lot, which got me wondering if the meeting was going to have a huge turnout, but soon I remembered that the church hosts many functions throughout the week for many organizations. As I proceeded into the Church, which is four stories sitting on approximately 6,000 square feet land, I felt strange not seeing anyone else around, especially when I thought I was early. Soon after I saw a sign for the meeting, which indicated the times for the meeting I realized that I was already 5 minutes late for my first meeting. The classroom is located at the basement level in a very large classroom, which was way too big for our group. The classroom, from what I could tell, appears to be used for Sunday school for kids. Before I entered the classroom I was greeted by the ‘Sergeant of Arms’ James Delk. I quickly introduced myself and felt somewhat easier when James stated that he was expecting me and was given the information that I would be attending the meeting. James advised that tonight’s meeting was a ‘humorous speech’ contest with a few outside evaluators in attendance and that tonight’s schedule would be a lot different than most the nights. This briefing gave me a sigh of relief and the fact that my attendance was recognized. As I entered the classroom, as most get when entering a room late, I could feel all the heads and eyes turn towards me to look at the new-late guy. As I sat down at a desk, a man in his late 40’s was just beginning his speech. The man speech was labeled ‘prehistoric pets’ and he proceeded to speak about a true story of him and his family’s first experience with cockroaches when they moved to Houston. He described how abundant they were in Houston and how they could not get rid of them. The man was extremely animated with his delivery and it seemed as if he was narrating a scene from the movie “Joe’s Apartment” at some point. This was captivating and I found myself drawn to the story, especially when he explained how these cockroaches affected his family. The story ended with the man and his family finally moving back to Seattle, leaving the cockroaches behind, however, a month later they realized that they were slowly but swiftly being taken over again by the cockroach, because some of them had made the journey in one of their moving boxes. This was the most delightful and amusing part of the story, and I could imagine that they ran away from Houston, because of the cockroaches (prehistoric pets), which would not let them go. The next speaker to take the stage was an elderly woman who spoke about her trip to Disneyland with her grandchildren. I did not find humorous her story, but she appeared to enjoy herself delivering her speech. I could not help but I felt as if I was ten years old again, in Sunday school, listening to adults during story time. Also, I felt as if I was in a class type of setting. Although, the people speaking that night were being graded and evaluated on various aspects of public speaking, it never felt as if there was any pressure placed on them. This aspect was very assuring and provided me with a certain comfort that I would do well too. David Hall, the next speaker of the night, prepared a presentation titled “Donate Sabbath”. He explained that his topic involves the occurrence where several churches run a program that encourages people openly discuss the issues associated with organ donation. As he continued with the presentation, it became clear that David is, to some extent, associated with the medical field and that he might also be an organ recipient or has had someone close to him in need of an organ or a transplant. He was quite knowledgeable in the line of organ donation and the issues related to it. He proceeded to explain particular procedures related to organ donation and the technology improvements that enhance successful organ donation, and how social media has made the efforts much better than what they were before. Further, David gave an extensively detailed example on the process involved in the donations related to bone marrow. His speech was well articulated in a perfect way. It was very clear that David really worked hard to prepare his speech and that he must have put allocated a substantial amount of time preparing. This made it clear to me that delivery of a successful and captivating speech starts with adequate preparation. The external evaluators were also satisfied by the speech, especially as a result of the deep knowledge David had in the topic. This means that in order to avoid nervousness, one need to choose a topic he/she understands well, since anxiety and nervousness play a big role in the making people feel frightened and intimidated (Palmer, 2009). Toastmasters International offers a sure way of making people to become more competent and comfortable with their public communication skills, owing to the adopted style of ‘learning by doing’, where all members are encouraged to participate and give speeches before the club members as I experienced in the meeting. Similarly, Toastmasters International is living according its mission that entail providing mutually supportive and positive learning environment in which every member of the club has the opportunity to develop and improve their communication and leadership skills, which in turn help them foster self-confidence and personal growth. In this case, members learn how to speak, think, and listen more effectively as well as gaining experience for conducting meetings as drawn from the techniques of leadership. Equally, the members improve their speaking through the Communication and Leadership and Advanced Manual programs made available. When a member joins a program, just like I did, he or she is given a New Member Kit, which contains the Communication and Leadership manual as well as educational manuals. The Communication and Leadership manual contains ten speech projects, beginning with a simple project, ‘The Icebreaker’, and works through such subjects as vocal variety, organization, use of visual aids, gestures, and word choice (Ccktmc.org, 2012). Each speech project contains guidelines for speaking, but the topic and actual speech preparation and delivery are left up to the member. When a member completes the Communication and Leadership manual, he or she may continue on through the advanced manual program, a series of twelve manuals on such subjects. The well-structured system of Toastmasters International with adequate study manual and the strictly implemented mission contribute to the success of the members, making them well-refined public speakers and excellent leaders. The manuals set the standards of the Toastmasters International subculture that define how the members behave during speech times and how they are expected to encourage and correct positively not condemning when one goes wrong. As a result of the increased awareness of Toastmasters International activities, many kinds of clubs develop around the world with specific identity such as community clubs, company clubs, military clubs, prison clubs, and collegiate clubs among others (Ccktmc.org, 2012). Currently, the majority of the new clubs being chartered by Toastmasters International are company or organization clubs that in most cases only open their membership to their employees only. This is especially after the realization by most company management that Toastmasters International subculture helps employees to improve their leadership, listening, and public speaking skills. The extremely structured nature of Toastmasters International with well-designed operation and activities documented in the manuals used around the world is a factor that facilitates the success of its mission. Based success on the experience from David’s approach of the speech, it is clear to all the members that excellent public speaking is dependent on two factors that must be considered: (1) adequate preparation and research on the topic to be presented at the meeting. This will help the speaker not to panic or to fear being challenged by the listeners. Since most anxiety is brought about by fear of being challenged or asked questions that the speaker may not answer. (2) Choosing a topic one is well-versed with like David did. He understood the topic and enjoyed himself while presenting, and giving very detailed information. From what I have researched and learned about other clubs, it is clear that protocols are precisely followed. One aspect I have thought about after reading about other clubs and their interactions is the concept that they are enjoying themselves and having fun during the presentations. However, the club I attend does not demonstrate playing such a role to the members. I guess it is partially my fault for having preconceived notions about a club where ones participation is voluntary. All the same, Toastmasters International has been highly effective and critical in promoting personal enhancement and growth in communication skills of thousands of people worldwide. The organizations reputation and proven systems still make this club and its members extremely intriguing to me. Therefore, I learned that people have to put aside their preformed opinions, beliefs, and ideas to achieve great development and reward in communication skills. There are several social clubs run by Toastmasters International in different parts of the world, which are aimed at making the members to become more competent and comfortable with their public communication skills. The organizations’ well-structured and well-designed operation and activities have helped it to build a subculture based on the standards set by the manuals guiding their operations. The concept of learning by doing, where all members are encouraged to participate and give speeches before the club members plays a major role in the success of its members. Equally, Toastmasters International is a non-discrimination organization with policy that registers members irrespective of their gender, ethnicity, race, or nationality. The chosen club at Catholic Church about two miles from my house that holds meetings on a weekly basis gave me a firsthand experience of how Toastmasters International carries out its activities. The method of study chosen was observation to help the researcher to first learn the operations of the club. All members give speeches without pressure, thus allowing them time to grow. Moreover, all members are positively corrected and evaluated by external experts to give room for all members to sharpen their listening, public speaking and thinking skills. Lastly, because of the wide success of the organization, there has been a steady increase in membership world over, with the 2012 report indicating that there are more than 280,000 members registered in over 13,500 clubs operating in 116 countries.